Black Americans -- Heart Health Is Vital. You are here: Home / Health / Black Americans — Heart Health Is Vital. 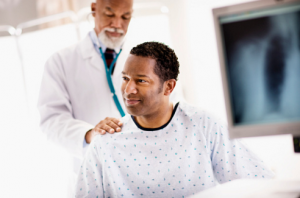 Black Americans — Heart Health Is Vital. (ThyBlackMan.com) Last month, February 2019, was not only Black History Month, it was also Heart Health Awareness Month per the American Heart Association. Heart disease is the number one killer of men and women in the United States. Eat a ”Heart Healthy Diet.” Of course there will always be a range of strategies and objectives to help maintain having a healthy heart. Diet is another user-friendly item. In other words, you can control your personal daily diet. Avoiding becoming over weight and obesity are both related to diet. Studies have concluded that a “Mediterranean Diet” has consistently been shown to be the preferred diet for heart health. It is not actually a diet but the way that people in Mediterranean cultures eat for their whole lives. It consists of small amounts of meat, fish, and dairy but is mostly plant based. All of the above advice and recommendations will help you to focus on keeping your heart healthy and strong. Again for African Americans the health of our hearts will determine the health of our families and communities. Our heart heath is vital.